Spain greeted us – in best fashion – with miles and miles of dusty copper mountains and a bright blue sky. I immediately fell in love with the small, rural town of Ronda as our train rolled into the station. And that was just the beginning. One short mile beyond the station was the place I had been dreaming about and furiously Pinterest-stalking for months on end. It wasn’t a cathedral, nor was it a museum. Oh no. As a seeker of unusual, outdoor adventures, the cherry on top of my instantaneous love affair with the town of Ronda was, well, a gorge. I realize a simple gorge doesn’t sound worthy of such high praise, but hear me out. This isn’t your average, everyday gorge. 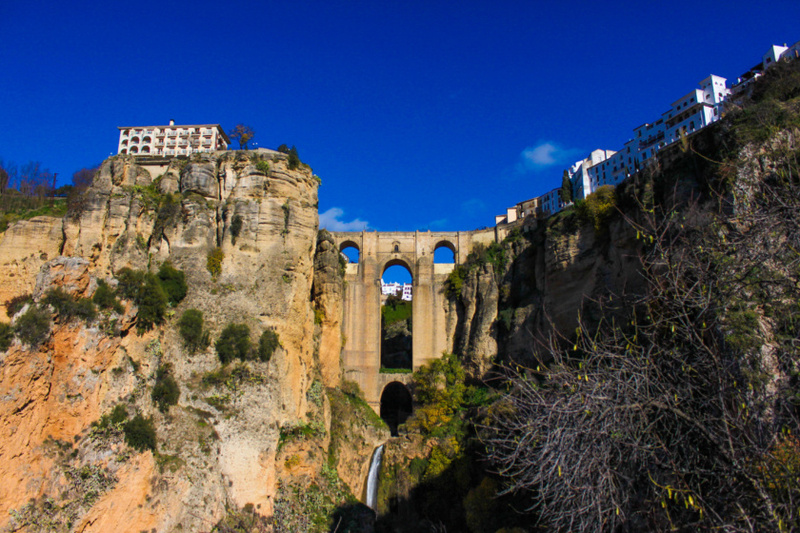 Ronda is actually built on top of a deep, massive gorge, with the 322-foot-high Puente Nuevo (“new bridge”) connecting the 15th-century new town to its ancient, Moorish old town. With a mix of old, new and innumerous options of outdoor activities in a charming Spanish setting, Ronda is a must-visit destination for history lovers, adventure junkies and everyone in between. 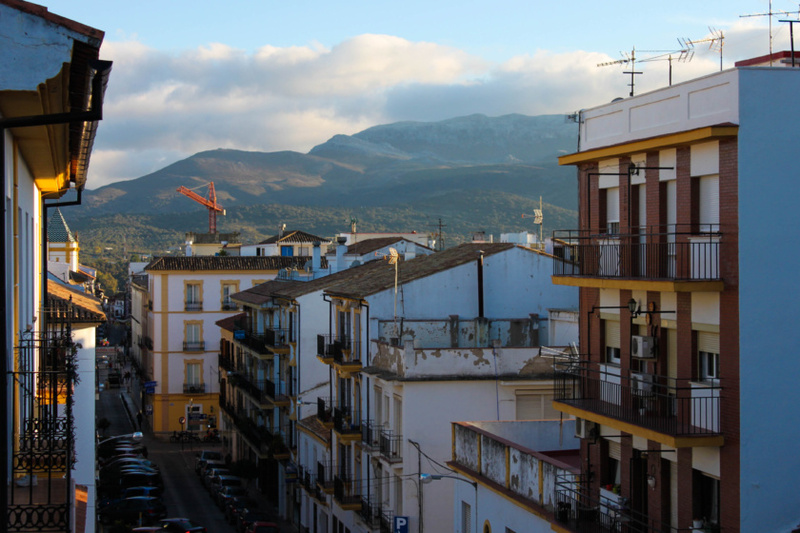 If you’re planning a trip to Spain, here are seven reasons to add Ronda to your itinerary. Did I mention Ronda has a stunning, massive gorge? Oh yeah, I guess I did. 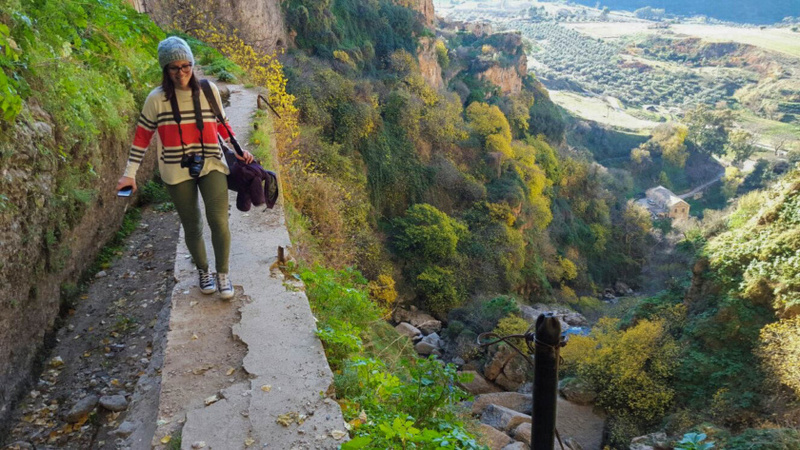 But here is something I didn’t tell you – Ronda also has a hiking path into the gorge, pairing adventure and exploration with striking views and vantage points. 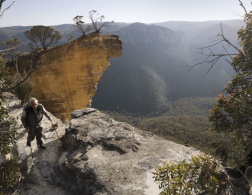 Hiking into the gorge is easy for the most part, with just a few nerve-wrecking spots as you get deeper into the gorge. The hike back up? Well, it’s an uphill hike under the Spanish sun, so I won’t lie and say it’s easy. 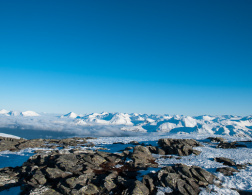 But for these breathtaking views, it’s well worth the climb. Ronda may be a small, rural town, but it sure puts on a big show at night. 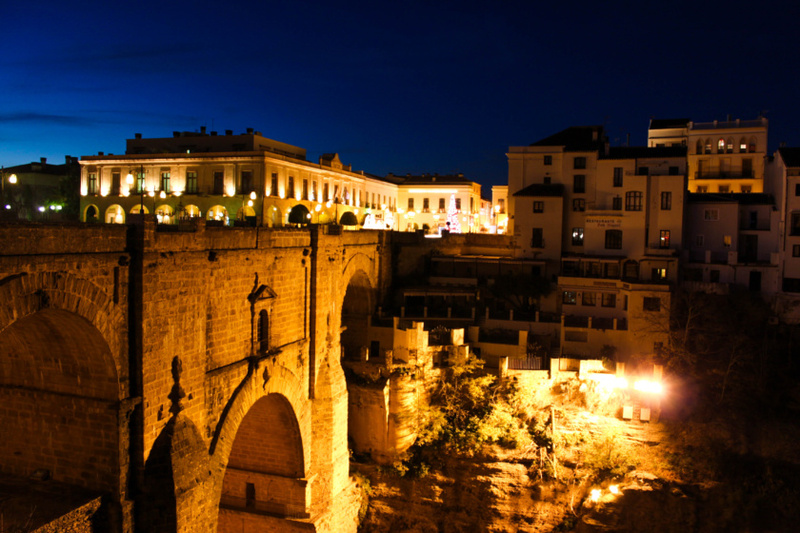 Nearly all the major sights – the Puente Nuevo, the gorge and the old town – are lit up in dazzling hues of gold once the sun sets. Another bonus? Most visitors leave Ronda before the sun goes down, so the nighttime crowds are minimal, with more locals than tourists. Across Spain, craft beer is growing in popularity. We visited dozens upon dozens of new breweries and bottle shops during our trip, and one of – if not the – number one beer spot for me was actually located in Ronda. Malastrana Cervezoteca, a small shop with rotating local taps, has a friendly, laid-back vibe. We went in for one beer, got wrapped up in conversation with one of the owners, and left having tasted the full tap list. Malastrana is just a couple blocks from Plaza de Espana, and well worth a visit for good beer and great conversation. As home to one of Spain’s oldest bullrings, the Plaza de Toros do Ronda, the city’s history is filled with tales of bullfighting and bravery. Legendary bullfighter Pedro Romero is said to have killed more than 6,000 bulls in the Plaza de Toros bullring alone. Today, visitors can take a self-guided tour through the Plaza and its corresponding museum, ending smack dab in the center of the bullring. 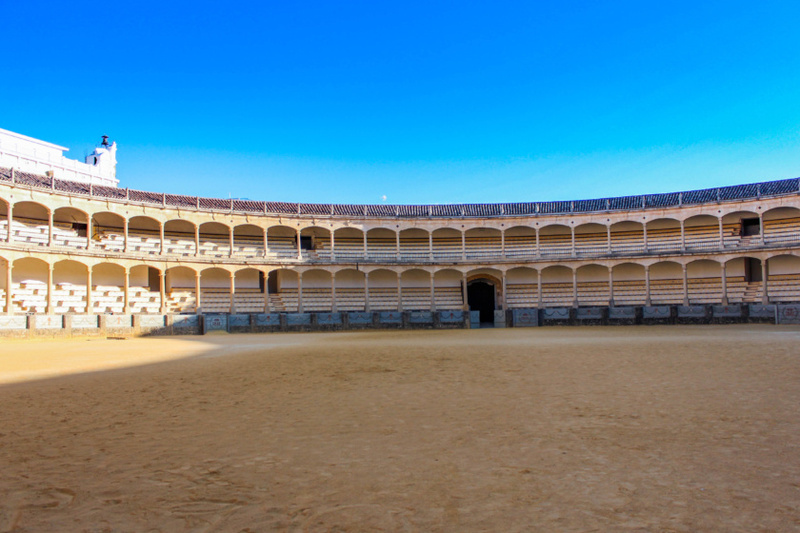 While bullfighting may not be for everyone, it’s an integral part of Spain’s past, and the Plaza de Toros is a quiet, less touristy place to learn about its origin. Ronda’s Plaza de Espana is much smaller than the main squares in Seville or Madrid, but bigger isn’t always better. For a small-town square, Ronda’s Plaza de Espana is a bustling, friendly scene, with outdoor cafes, local gift shops and well-maintained fountains and greenery. We visited Ronda in mid-December, and the square was filled with holiday cheer. 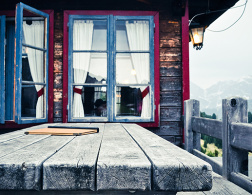 Need fuel for your gorge hike? Grab a bite and beer at the Hotel Don Miguel restaurant, which has a popular patio overlooking the gorge. Fortunately, the food is (almost) as good as the views, but I neglected my meal for a good 30 minutes because I couldn’t stop photographing the gorge! Yet here we are, talking about it. Time-wise, one night in Ronda was (technically) enough. We got to see and do all seven of these activities and then some. Would I have liked more time? That goes without saying. But know that even if your time is limited in Spain, Ronda is a quick, easy one-day trip that will leave you with once-in-a-lifetime, gorgeous memories. Pun very much intended. 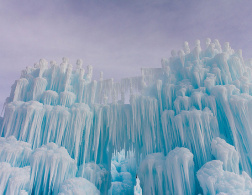 Stephanie is an NYC-based media professional, travel writer and photographer. 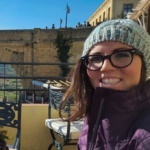 Her travel blog, The Wanderlost Way, offers tips, guides and stories to help people of all experience levels embrace their spontaneity and curiosity for one-of-a-kind adventures. 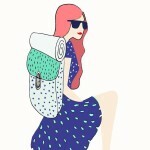 Connect with Stephanie on Twitter @WanderlostWay, Instagram @TheWanderlostWay. Just returned from Ronda and I must say it was amazing. Leticia Prados was playing the harp and singing, and all around were beautiful views , you felt it was a little piece of heaven..